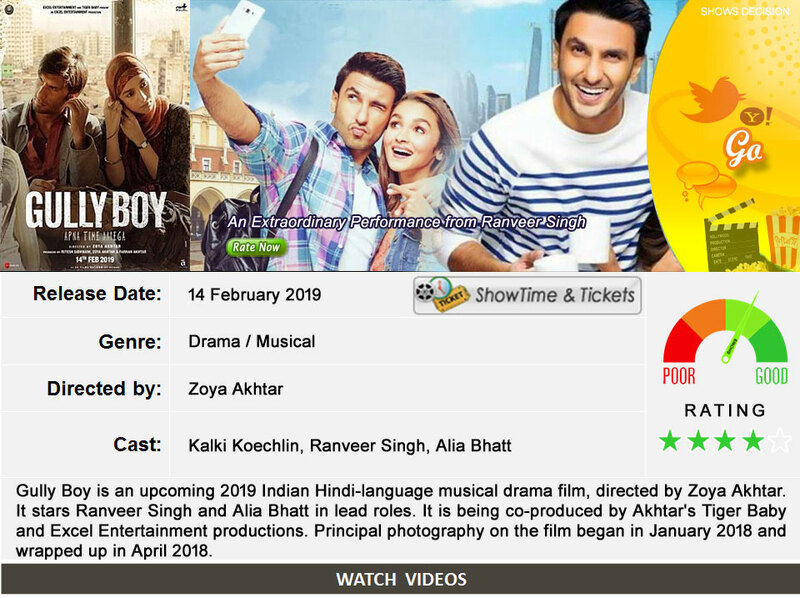 Gully Boy is an musical drama film, directed by Zoya Akhtar. It stars Ranveer Singh and Alia Bhatt in lead roles. It is being co-produced by Akhtar’s Tiger Baby and Excel Entertainment productions. Principal photography on the film began in January 2018 and wrapped up in April 2018.